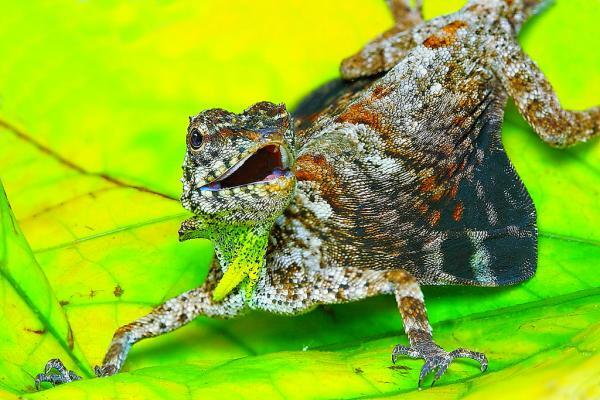 There are dragons in the jungles of Southeast Asia. Or, at least, arboreal lizards of the genus Draco, or "dragon”, volans. These lizards look perfectly ordinary when they are scampering up and down their home trees, munching on ants and termites. The only thing dragon-esque about them is their scaly, patterned bodies, and armored heads. All impressions change, however, when the Draco lizards launch themselves off a branch and extend their elongated ribs into ‘wings’. Yes, wings.